Watch our video above to see the trip to Bristol, and how Nicolas feels about the transfer. The dazzling winger signed a three year contract (with the option of another year) with ”The Robins” after a fantastic breakout season back in Sweden. The Sweden under-21 international team member currently leads the charts for assists (10) in swedish league Allsvenskan and has also scored three goals. His career started in Falkenbergs FF and already after a successful year in the second division (Superettan) he switched to AIK – one of the biggest clubs in Sweden. In the past year he played for IFK Norrköping who were the Swedish Champions in 2015. Niclas Eliasson was one of the player who played in the Euro U21 in Poland this summer for the Swedish National Team. In total, he made 61 appearances in Allsvenskan for both AIK and IFK Norrköping, with 13 assist and five goals. 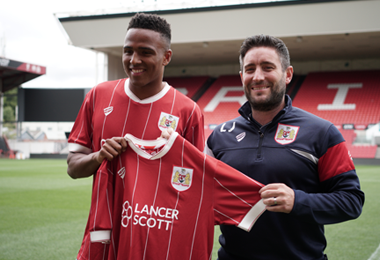 We are looking forward to seeing him play for Bristol City.